To sit down together side-by-side. To focus on the job to do, which was to find a solution. To work together to solve the problem. Roger Fisher was really a fixer. He would relax by mending the plumbing, or laying brick terraces at the summer house he loved in Martha’s Vineyard. But that was tiddler stuff. At breakfast he would scan the New York Times, looking for bigger problems he could fix: arms control, hostage-taking, the Middle East. Over dinner the conversation would be sorting out Vietnam, or ending the war in El Salvador. At his 80th birthday party, most other guests gone, he was found deep in a discussion of peace between Arabs and Israelis. As long as there were disputes in the world and energy in his body, he was going to help resolve them. Roger served in the Second World War as a weather reconnaissance officer. But he was strongly affected by the loss of many friends. During his service he also flew morning flights over Japan. This was before the bombing of Hiroshima and Nagasaki. According to people who knew him, the memory of these flights – and the unnecessary deaths of many people in war – weighed on him. Although building a great reputation in the academic world, he threw himself into applying the ideas in practice. This involved him working in Europe on the Marshall Plan. Later he contributed to seeking peace in the Middle East. This involved working on President Sadat’s trip to Jerusalem and the subsequent summit at Camp David. He played a significant part in helping to release the United States citizens taken hostage in Iran in 1981. Roger helped to resolve the war between Ecuador and Peru. He also spent considerable time in South Africa, helping to bring together people to end Apartheid. Roger believed it was important for people to build on what they had in common. He taught law students to focus on alignment. This was uncommon in law, where people often took adversarial positions. He also believed it was vital for the parties involved to show respect to each other as human beings. Wherever possible, it was important to separate the ‘problem’ from the people. Providing you looked at what each of the people wanted, it was then often possible to solve the problem. The difficulty was that the solvable problem had often become complicated by the personal feelings – such as anger and disappointment – becoming wrapped in the problem. Roger’s work became widely known as a result of the book he co-wrote with William Ury, Getting To Yes. Since its publication in 1981, it has sold many millions of copies. To separate the people from the problem. To focus on interest, not positions. To invent options for mutual gain. To insist on using objective criteria. 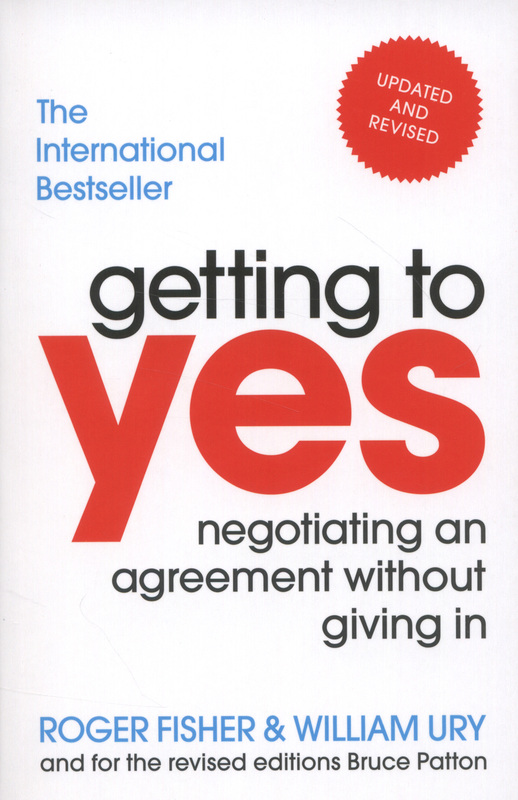 To know your BATNA (Best Alternative To Negotiated Agreement). Success grows out of fertile ground. So it is important for people to get to know each other and build rapport. This involves simple things such as eating together, listening actively and focusing on common interests. To show appreciation to other people and acknowledge the reality of their thoughts and feelings. To treat other people as colleagues in the process of working together to find a solution. To show respect for other people’s autonomy and freedom to make decisions. To recognise other people’s status and standing. To define a fulfilling role for oneself in the negotiation process. 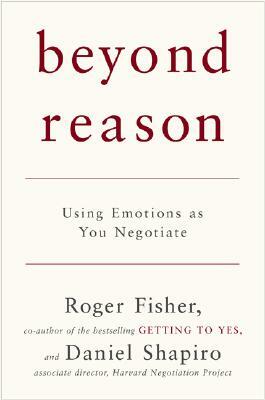 You can find out more about the approach on the Beyond Reason web site. John Baker, writing The Negotiator Magazine, concluded his review of the book with the following sentences. This is one of those unusual works that is so carefully constructed and written that you may find yourself praising its common sense and nodding easily in concurrence. It may even seem that you knew it all as you read along. Perhaps, of course, you did. And yet, more likely, you will decide as this reviewer came to do that you have just read a new and valuable contribution to the literature of negotiation. 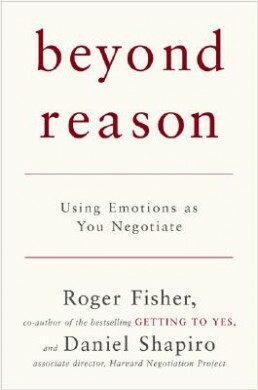 It is a book to reflect upon and that belongs on every negotiator’s reference shelf. Roger made a great contribution to sowing seeds of peace during his life. Here he talks about the importance of helping people to understand each other. This helps to provide a platform for growth.